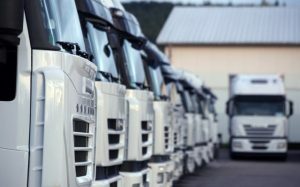 Fleet Profiling – are your vehicles suitable for your operation? System Setup – are your files in order and easily retrievable? TAC can support in developing systems, which when followed, should help bring structure to your organisation and assist in the day-to-day-decision-making processes. The management of a transport operation can be a hectic environment and it is crucial to have clear, documented, comprehensive procedures in place. This will ensure that there is a consistent approach to all tasks and clearly defined roles and responsibilities. If your systems are effective, efficient and consistent, errors are less likely to occur. We have over 25 years experience providing the highest standard of transport consultancy, with all services being delivered by fully qualified transport operator consultants. We work in conjunction with our sister companies Sigma Studies and IRST to deliver high quality services and a range of training courses including First Aid, ADR, PDP and Manual Handing. All reports are independent and TAC is here to offer advice, support, assistance and solutions for your transport systems that will ensure they are all above the current legislation conditions.